A clean house is essential to the health of the entire family. When you clean your home on a regular basis you reduce the likelihood of spread of germs and bacteria, and you also help to keep your property allergen-free as well. When you perform deep cleaning in your home, you need to pay extra attention and clean all details without exceptions. And to do this, you will undoubtedly need time. Yet, you should remember that even if you diligently clean your property on a regular basis, it is important to also have your home professionally cleaned from time to time. We are City Cleaners London and have huge experience in the field of professional cleaning. To save yourself time and effort, contact us and book our professional deep cleaning services. With City Cleaners London you will receive a tackle-free professional cleaning of your property at the price of peanuts. Clean appliances such as fridge, oven, dishwasher, coffeemaker, etc. We at City Cleaners London are armed with high quality equipment and cleaning products which enable us to thoroughly sanitize every inch of the property with little effort. The technicians also have experience and are trained to deliver various professional cleaning services at high level. 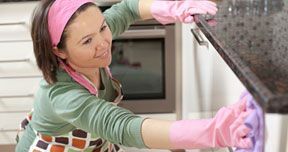 Rely on our deep cleaning services in the household or workplace – City Cleaners London are capable of cleaning both residential and work areas. Our company covers London and we are available for booking throughout the week and even on bank holidays, too. We know that even thinking about cleaning your windows and defrosting the fridge to clean it can make you sick. Yet, thoroughly cleaning your home is a must. On top of that, you should clean your home way more often than once a year because, according to scientists, bacteria can conquer any property in as little as six months. To keep germs and bacteria away – let us clean your house today. Book us by contacting our friendly customer support team. Choose us to deep clean your home because we are the best in London. You will love the results. A: Our professional cleaning company offers hour-based deep cleaning services, available for booking in households and office buildings. Our minimum booking time is three hours, otherwise the services we offer are not limited in time. Q: How’s the service performed – does one technician come to my property, or do you rely on a team of professionals to do the job? A: Depending on the work that needs to be done and the area that needs to be covered, City Cleaners London are capable of sending a team of up to 5 technicians to clean your property. Q: Since I suffer from a number of allergies, I want to know what cleaning products do you use and whether they can trigger my allergies? A: Our cleaning company works with natural cleaning products only. They are safe for use near pets and children. Our cleaning products are toxic chemical-free which means that they can not trigger any allergies. Q: What is not included in the deep cleaning? A: Our deep cleaning is a very thorough service that is specially designed to fit your home’s needs. We work with you to customise the cleaning session to your own liking. In general, we are willing to include whatever your cleaning needs are but you need to let us know before the arranged appointment. A: A contract is absolutely not required for the deep cleaning service. We provide our service as needed to fit your fast-paced lifestyle so that there are no contracts or any obligations. Q: What is the difference between the regular house cleaning and deep cleaning service? A: Usually, deep cleaning is considered as one-off service and often takes much more time than the house cleaning. It can be more expensive because of its thoroughness but it is definitely worth every penny. Basically, deep cleaning sessions prepare your home for a regular house cleaning. Q: How long does the deep cleaning take? A: We love to think of your home as your castle which means that we will do everything within our control to make it sparkling clean. Every home is unique which means that there are a few considerations when it pertains to the duration of the cleaning session. The session’s length is dependent on the size of the place, number of rooms cleaned, their condition and the number of housekeepers. With that in mind, you can still expect speedy deep cleaning service from us. A: It depends on what the company and you agree on. Usually, payment is due the appointed day. Q: How can I cancel already booked deep cleaning session? A: To cancel your appointment, you need to notify us no later than one day before the arranged time. A: Each and every one of our employees is bonded and insured. 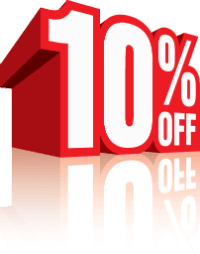 This provides you with an opportunity to book a deep cleaning service you can trust. Q: Do I have to do anything before the cleaners arrive? A: What we would appreciate a lot is to provide a clutter-free environment for our housekeepers so that they can get the job done in a quicker and more efficient manner. A: You can rest assured that all of our employees are pet-friendly and it is fine to have a pet in the property while we clean. However, if your pet is aggressive, we recommend leaving it outside to ensure the safety of our cleaners. Q: For how long you are in the business? A: We have been working in the cleaning business since 2009.